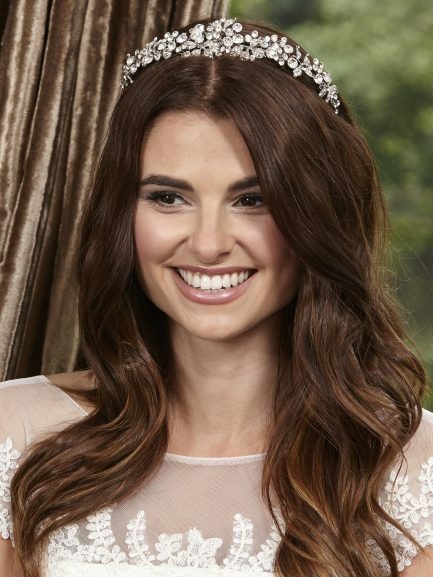 Our Tiaras and Headbands are the bestselling pieces from our bridal headpiece collections. 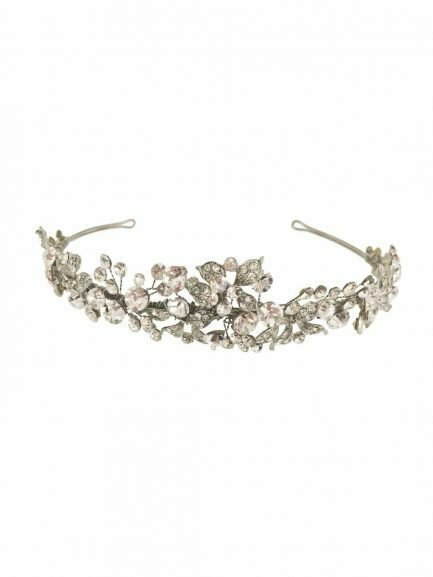 Both tiaras and headbands offer that classic, traditional look for your wedding, and are the easiest headpiece type to wear. Select from gold, silver, rhodium or rose gold for your base colour by using the filter above. 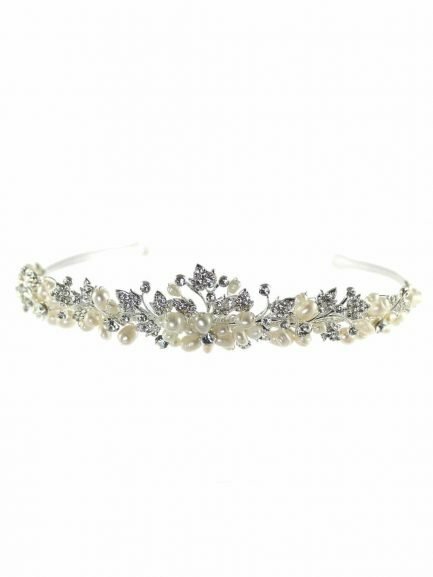 The bridal headpieces we supply are designed by top British bridal brands such as Linzi Jay and Twilight Designs. 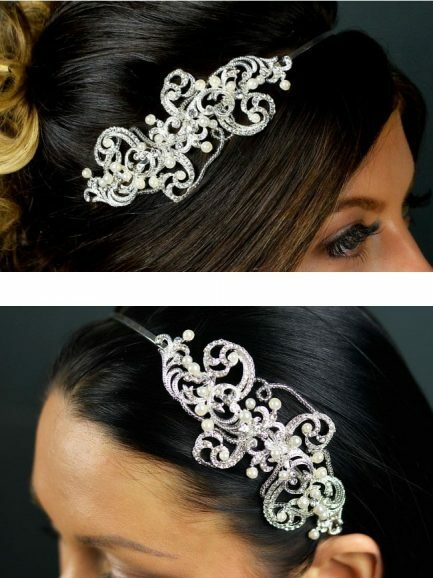 They’re available to purchase online or at our bridal accessory boutique in Blackpool. 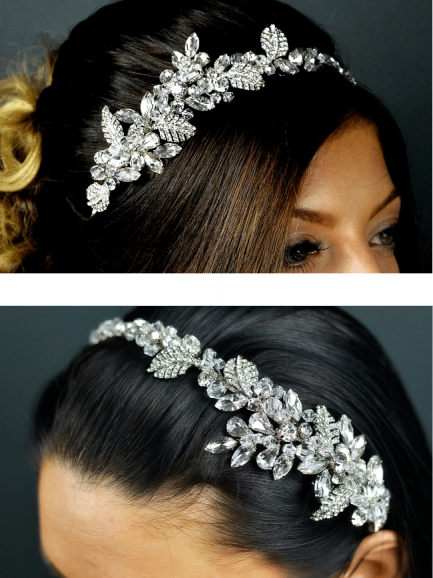 Each headpiece is handcrafted with only the finest materials including, in some cases, stunning elements from Swarovski crystal. 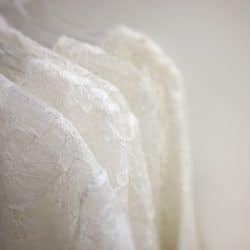 We’re also proud to say that our Arianna collection is handmade right here in the UK. 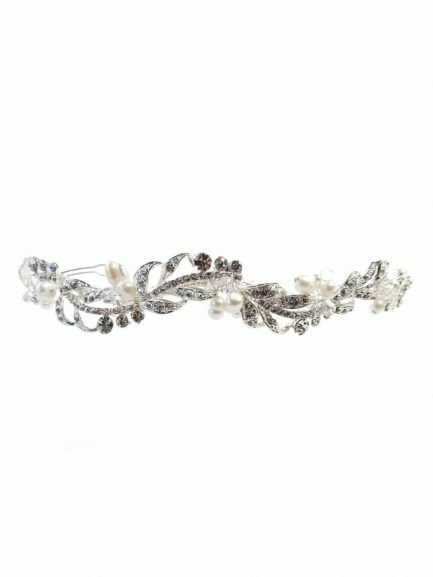 TLT4640 is a freshwater pearl, bead & diamante tiara. The design stretches right the way across the headband. 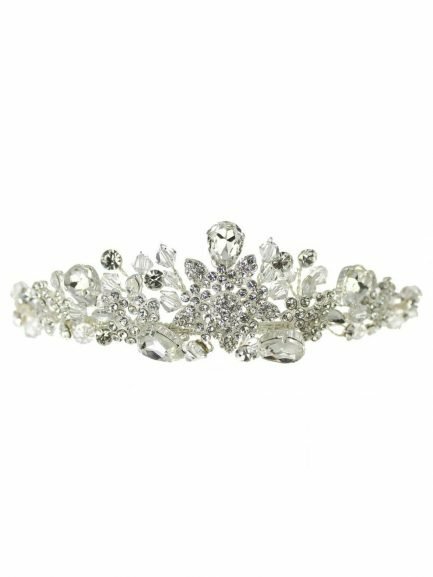 LT649 is a large diamante flower centre tiara. 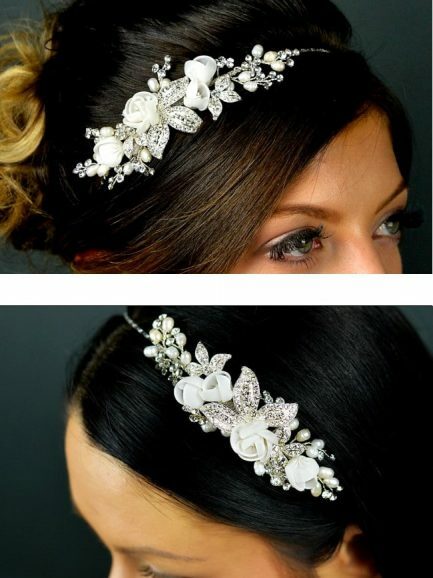 A very pretty design with an art deco feel. Very vintage chic. 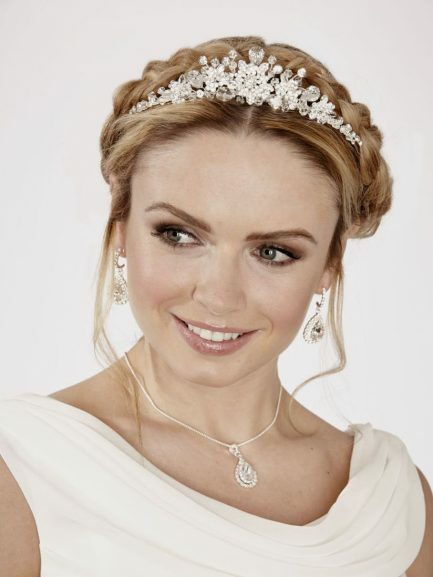 AW1262 is a beautiful crystal & diamante bridal tiara available in soft gold or silver. 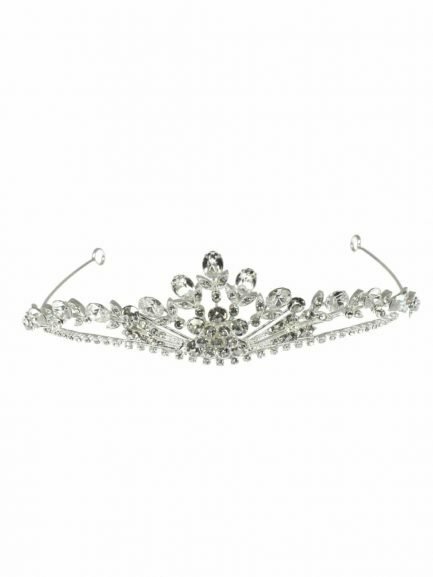 TLT4653 is a rhodium crystal & diamante side tiara. The deeper silver colour gives a lovely vintage effect. 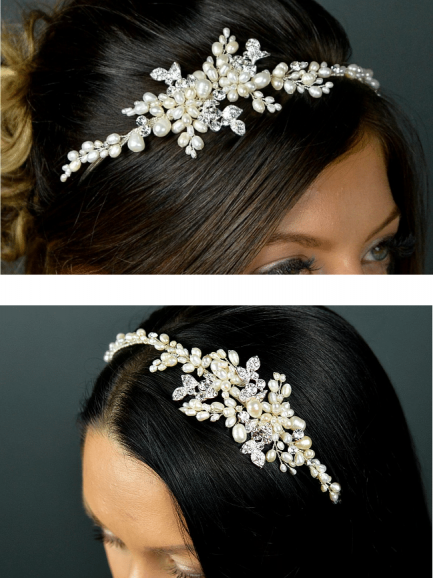 TLT4523 features freshwater pearls, diamante with organza flowers. 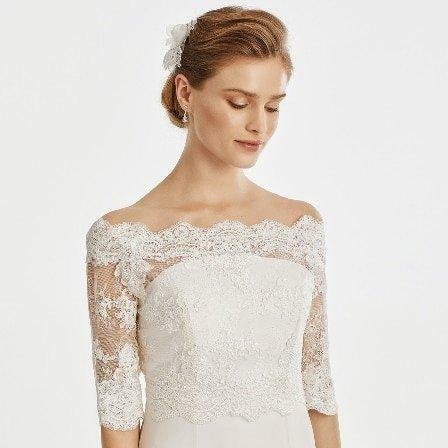 A very feminine design. 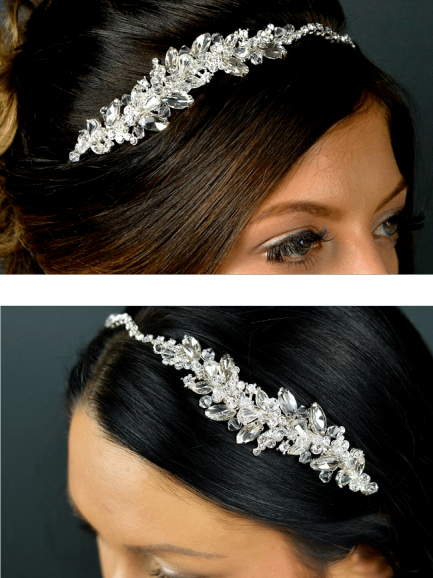 TLT4513 is a gorgeous pearl, diamante & seed beaded side headband. 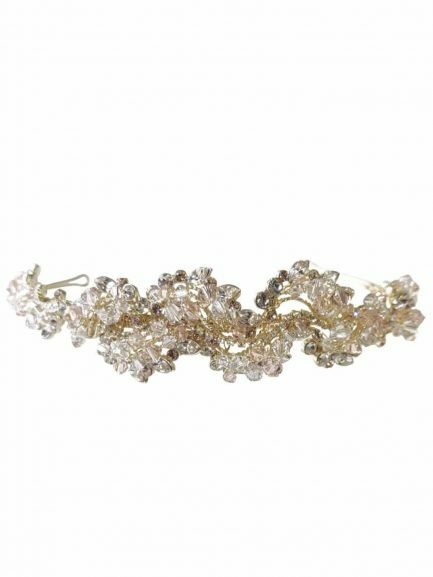 Shown in Silver or Gold. Other custom colours may be available upon request. 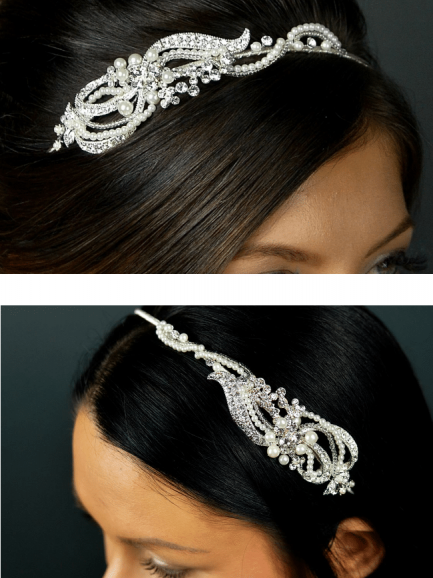 When it comes to adding the final finishing touches to your attire as a bride, choosing a traditional tiara will give you that touch of elegance and grandeur. 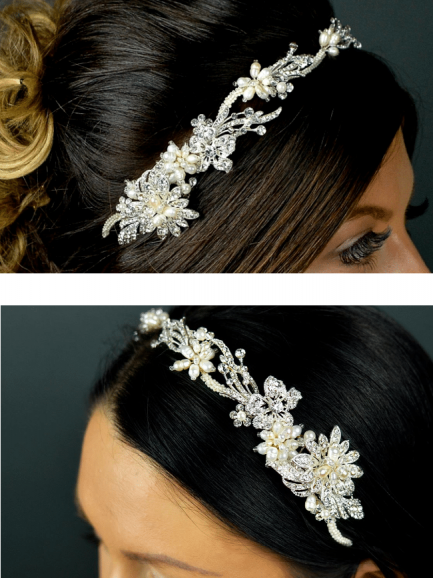 Whereas our bridal headbands offer a slightly more modern approach, while still offering that feeling of luxury. 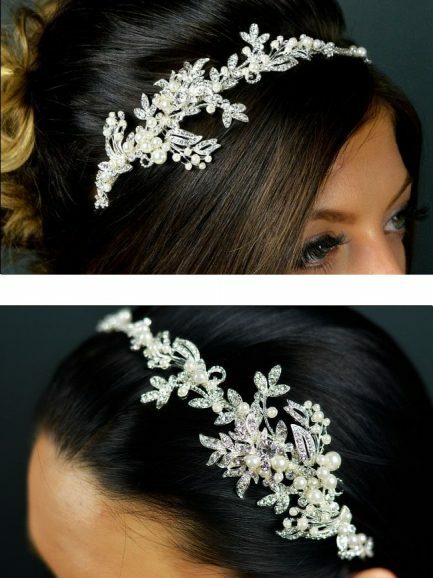 No matter what kind of dress you’ve chosen, we have a headpiece for it. 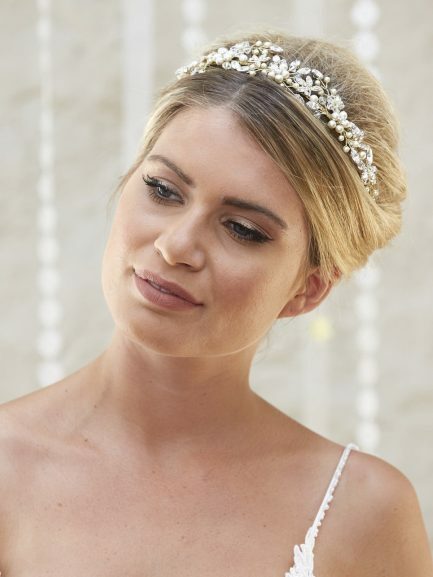 From large, ornate tiaras with beautiful jewels for a more extravagant wedding, to pieces designed with a more relaxed, vintage or bohemian theme in mind. 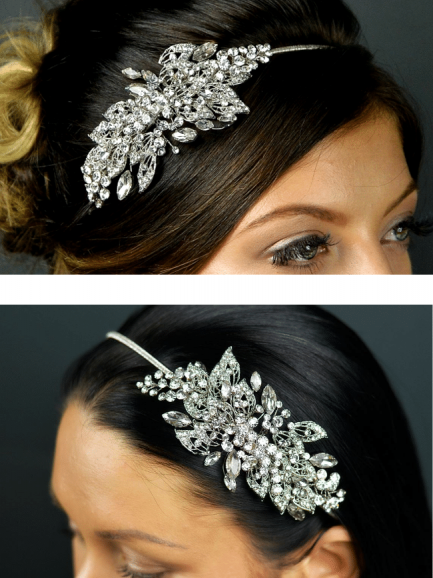 In the case of Arianna pieces, they can even be customised and made just for you as a bespoke headpiece. 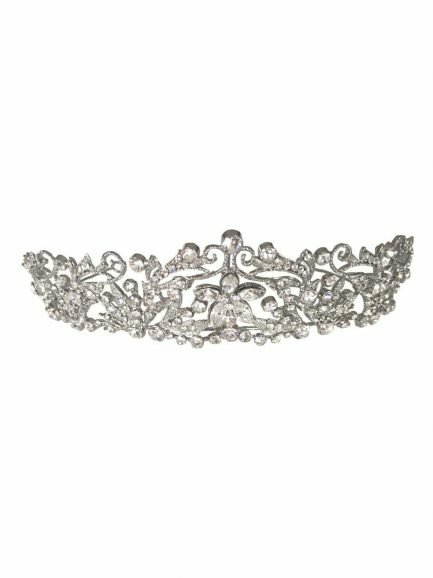 Because of this, we believe our tiaras and headbands are designed for every kind of wedding you may be planning. 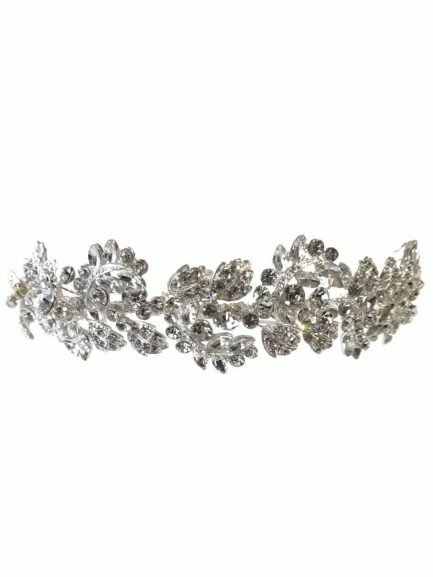 When it comes to choosing tiaras and headbands for a bride, a great way to do this is to examine the beading, if any, on the dress. 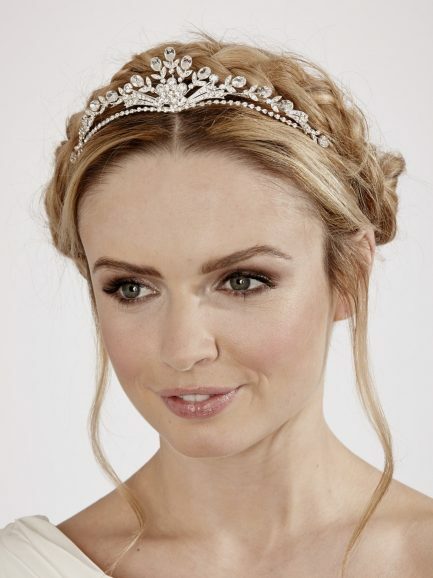 For example, does the dress have ivory pearls you could tie in to the headpiece? 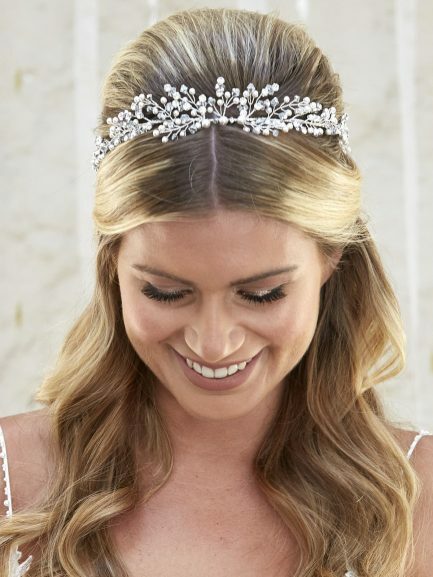 Or are the beads more silver-coloured like our diamante/rhinestone headpieces? 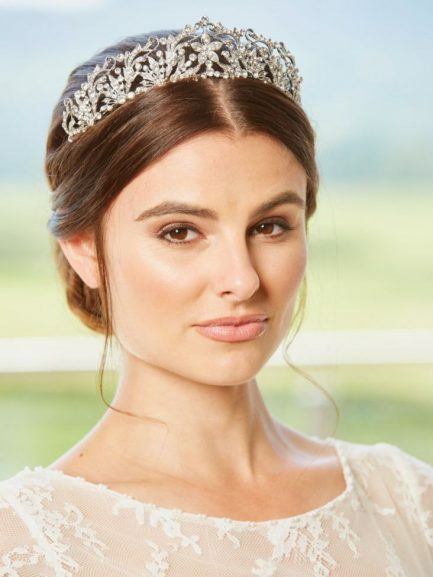 You’ll also need to consider if your hairstyle would lend itself better to a traditional tiara (symmetrical, often peaked in the centre), or a more contemporary side headband where the focal point is on one side only. 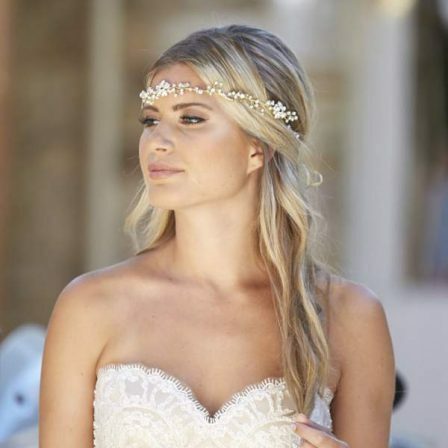 The latter looks great with loose hair worn curled or plaited over one shoulder. 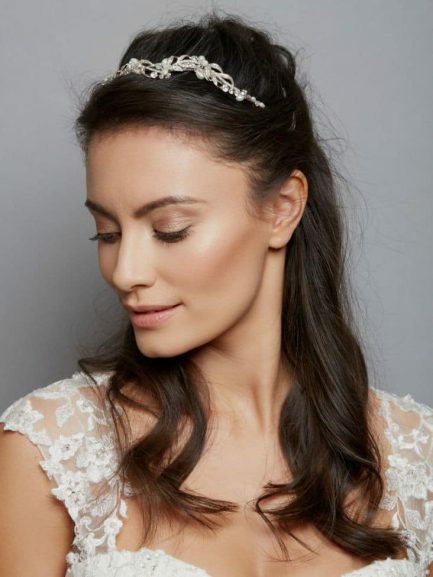 A pretty side headpiece placed on the swept-back side creates a gorgeous and rather Hollywood-glamour-style look which looks great on any bride. 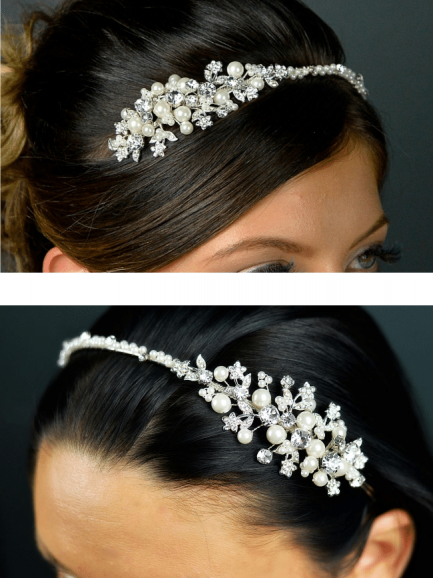 If you’re unsure if you want a tiara, a headband or even any bridal headwear at all, we can help. 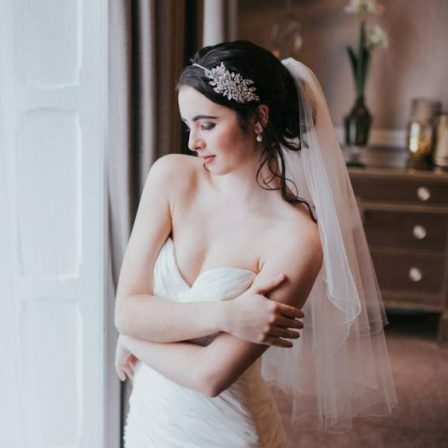 With many years of experience in the wedding industry, we have developed a level of expertise unmatched across the UK when it comes to the matching of bridal accessories. 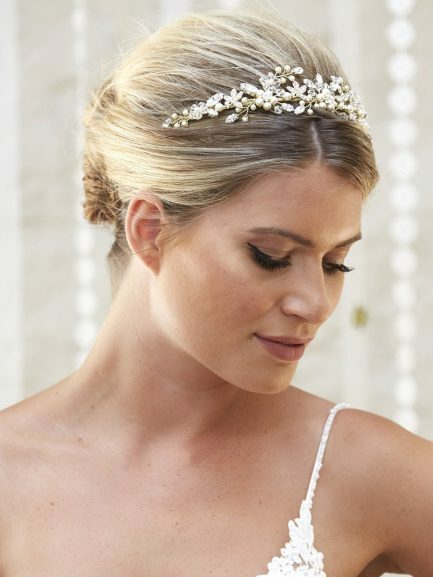 We do it every day one-to-one with brides at our bridal accessory boutique. 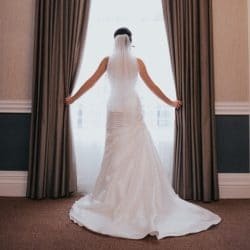 So, if you need any assistance or advice, feel free to get in touch with us on 01253 365740 or email to sales@theweddingveilshop.co.uk.